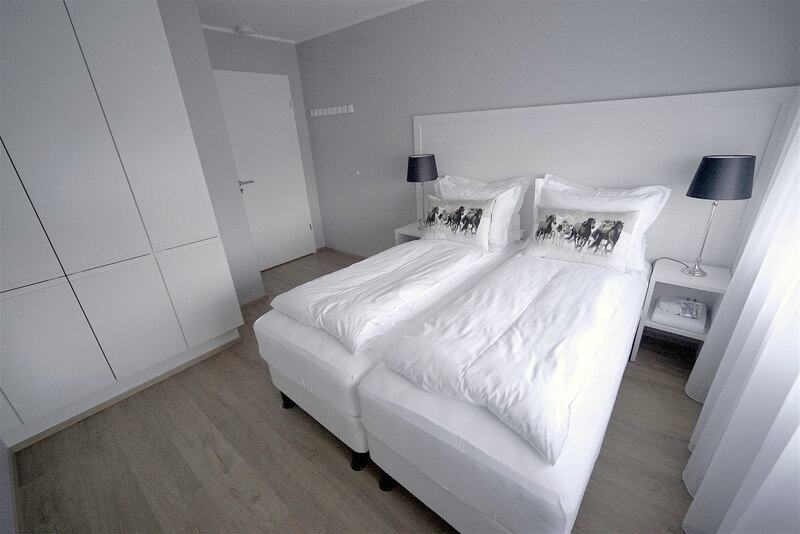 Apartment 301 is located on the third floor and accommodates up to 6 people. 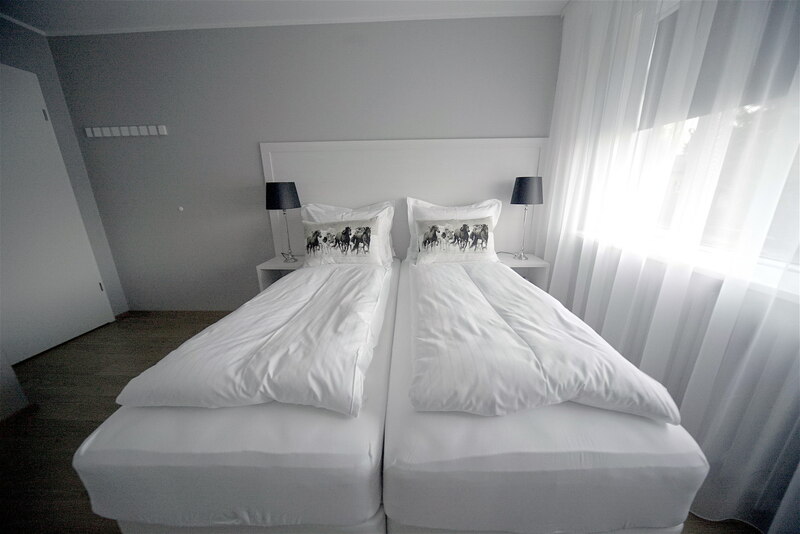 There are two bedrooms, each with two single beds that can either be separate or joined to make one queen size bed. The bathroom has a walk-in shower. There is also a fully equipped kitchen, washer/dryer and a living room with a pullout couch/bed for two.